NEW YORK, April 2, 2019 /PRNewswire/ -- Sales of bio vanillin are likely to continue its steady pace owing to the growing adoption of bio vanillin as a healthier and safer substitute to synthetic vanillin. This can be attributed to diverse health benefits associated with consumption of bio vanillin. According to Persistence Market Research (PMR) report on bio vanillin market, the worldwide bio vanillin market is envisaged to accelerate at a healthy 7.4% CAGR during the forecast period (2017 – 2025). In recent past, clean label products and green ingredients have gained much traction. This can be attributed to the shifting consumer preference for greener and safer products in tandem with growing food quality regulations and standards imposed by the Food and Drug Administration (FDA) and the European Food Safety Authority (EFSA). Such growing food–related impositions have been propelling manufacturers to adopt organic or green ingredients, such as bio vanillin, in their products to be able to gain a strong foot hold in bio vanillin market. According to PMR report on global bio vanillin market, food segment is likely to remain the dominant application segment during the foreseeable period on the account of its myriad applications in food and beverages industry (F&B). Further, the adoption of bio vanillin in diverse food items has been fueled by the natural labeling of foods by food authorities in different parts of the world. The hefty adoption of bio vanillin in baked goods and confectionary items, such as breads, cookies, and cakes, are further anticipated to translate into steady growth of bio vanillin market. As per the PMR report on bio vanillin market, with the burgeoning demand from F&B industry, the sales of bio vanillin have been growing and are expected to increase further during the forecast period. The bio vanillin market report opines that growing adoption of advancing technology in F&B industry in tandem with altering consumer preference for food are likely to spur demand for bio vanillin in the market. The uptake of organic foods in line with imposition of premium quality standards pertaining to food safety by authorities are set to accelerate the market growth during 2017-2025. The bio vanillin market is likely to face a setback due to the high pricing of bio vanillin as compared to other synthetic vanillin, however, manufacturers are focusing on introducing low-priced variants, without compromising on their quality. "Exceptional sensory qualities that offer new taste sensations have made bio vanillin widely accepted among manufacturers and consumers. It alleviates fat and sugar in bakery and confectionery products, such as ice-creams, chocolates, etc. without compromising on taste. Main drivers behind growing adoption of bio vanillin are its unique flavor profile, flowability, and higher solubility. Further, the proliferating confectionery industry is anticipated to reinforce the growth of bio vanillin market during the forecast period," says a senior analyst at PMR. 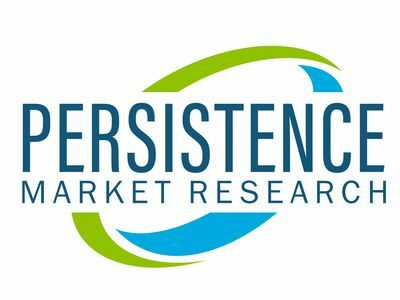 Demographically, bio vanillin market is expected to witness highest revenue in Europe during the foreseeable period on the back of stringent regulatory guidelines for natural products, finds the PMR study. As per PMR report on bio vanillin market, widespread awareness about bio vanillin as a premium ingredient in food and pharmaceuticals industry has been adding to the sales of bio vanillin across the Europe. However, Asia-Pacific will emerge to be most lucrative market for bio vanillin due to its tremendous growth potential during the upcoming years. As per the report on bio vanillin market, the proliferating F&B industry is the key driver behind the expansion of the bio vanillin market in Asia Pacific. The PMR report on bio vanillin market opines that leading market players are expected to capitalize on the growing trend of organic products in tandem with the increasing health consciousness among consumers in North America, which in turn is expected to translate into steady growth of North America bio vanillin market.